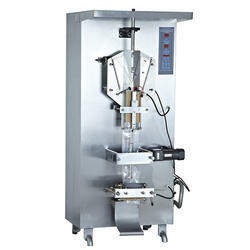 Leading Wholesale Trader of water pouch packing machine from Patna. Enlisted amid one of the distinguished business names, we are thoroughly involved in the realm of presenting an inclusive gamut of Water Pouch Machine. Made as per the evolutions taking place in this industry arena, these presented machines are made with perfection. Together with this, these machines could be availed from us in a variety of forms at market leading rates.